Ahmedabad is an interesting place! Every time I visited this city, there was some new discovery. I remember eating mutton samosas in the old city and feasting on unlimited Gujarati Thali at Sasuji. My initial encounters with this city were for cricket coverage. Especially during 2006 ICC champions trophy when I covered all the games played at Motera. I remember the eerie evening when the entire stadium was fumigated for protection against Malaria. Some interesting cricket conversation took place on that tour! Most memorable was chatting about Srilankan food with Mahela Jayawardene. But my perspective changed completely due to a small assignment I did during my stint at IDC! 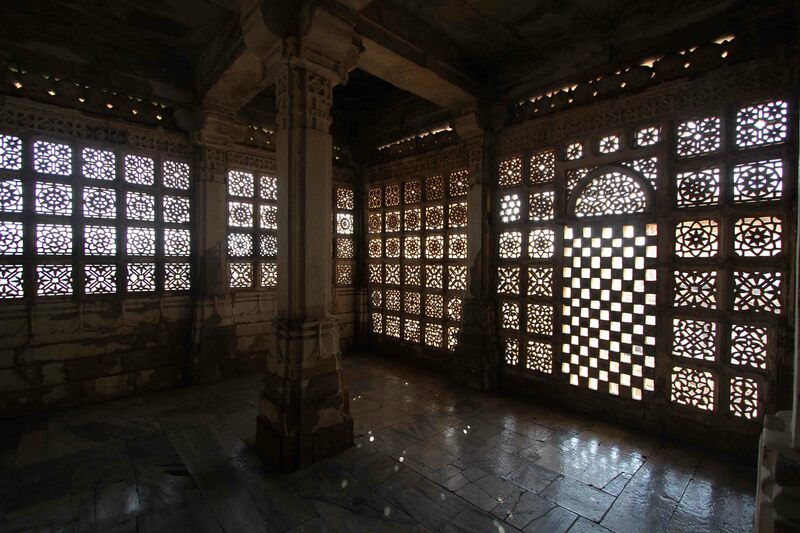 Doshi has often mentioned how Sarkhej and Adalaj influenced his designerly influence. Sarkhej Roza is a tomb-palace complex about 8km away built by Mehmud Begada in the 15th century in remembrance of a Sufi saint Ganj Baksh. 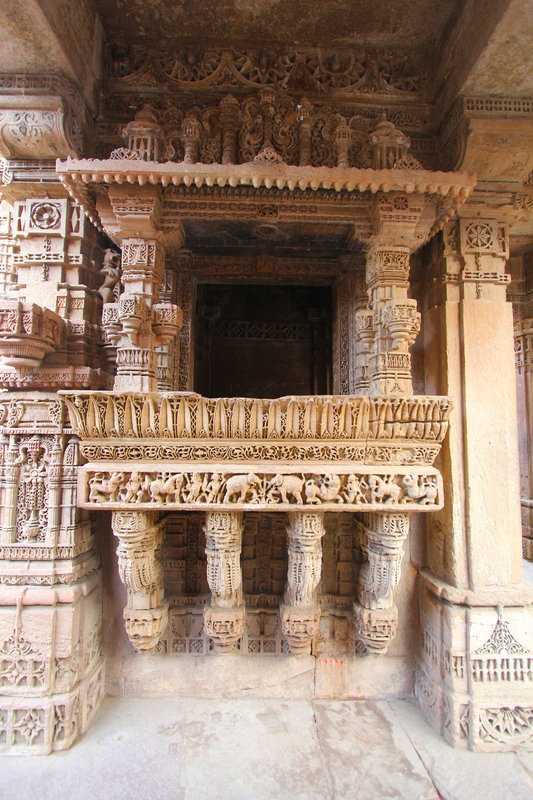 Le Corbusier was so enchanted by the intricate carvings and Jali work, he compared Sarkhej Roja to Acropolis. 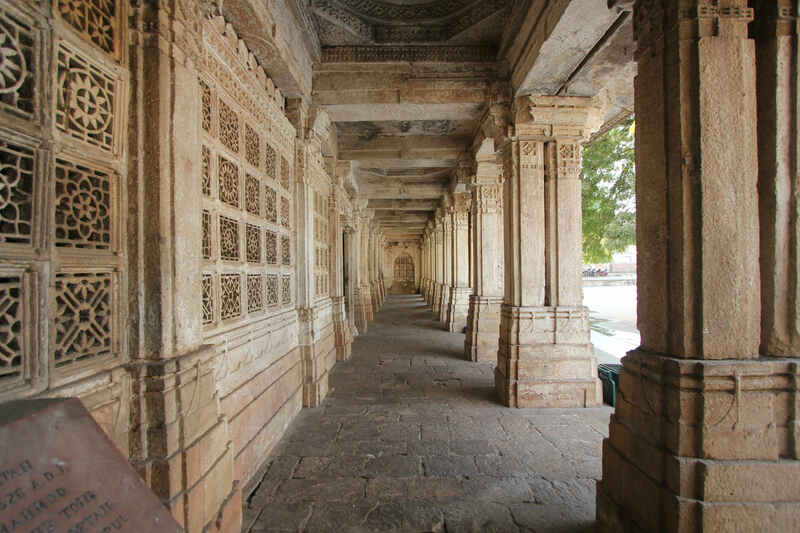 This complex is built around an artificial reservoir and comprises several tombs and palace buildings. It was a place for kings to relax, retreat or ,meditate. It was interesting to see how light interacted with this space and the experience became dynamic through the day and seasons. Lobbies were so symmetrical and proportions were balanced, the craftsmanship was highly refined. I felt that magic of this design was in its simplicity and play of scales. A perfect retreat built next to an artificial lake and tomb complex with focus on serenity showed the variety of moods created within the same heritage structure. 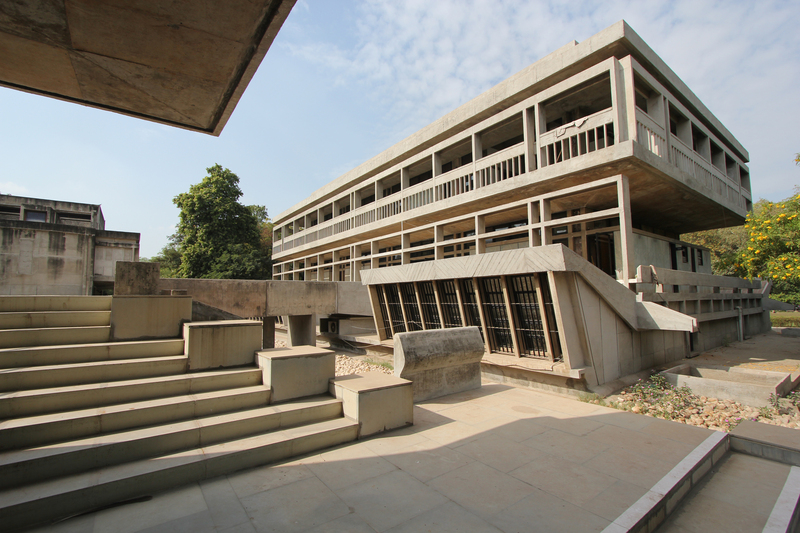 B V Doshi’s own designs are re-birth of his Indian roots and Amdavad surroundings in modernist avtar. His institute of indology incorporates traditional manuscript storage methods and the building is modelled on a ship. 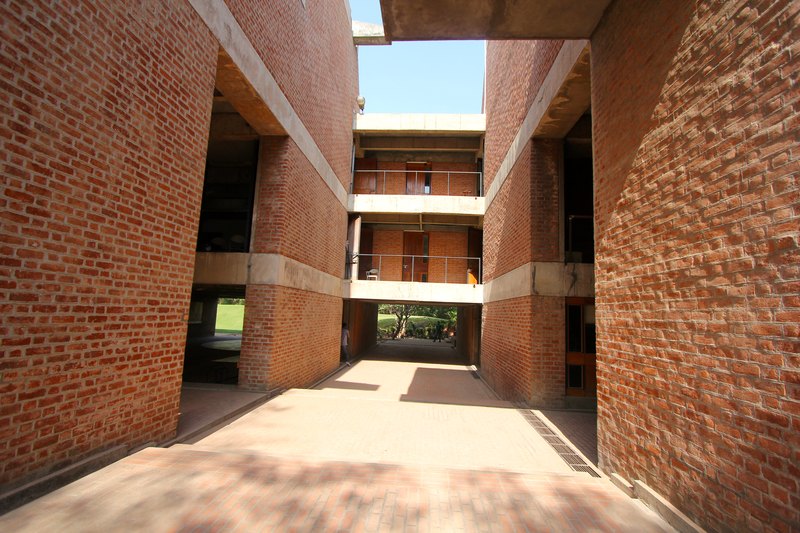 Louis Kahn loved the open brick surface, similarly Doshi has used open concrete and open brick surfaces in many of his buildings. His energy at this age and his simple yet insightful view on design is stunning … I am writing with so much admiration and my sentences are full of adjectives … but that is how it is. 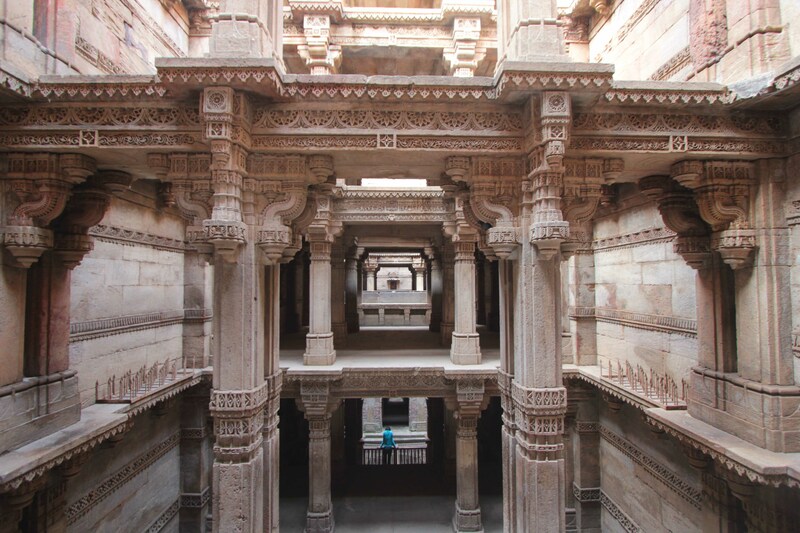 Detailed ornate carvings and geometry of pillars create a different world at Adalaj step well. 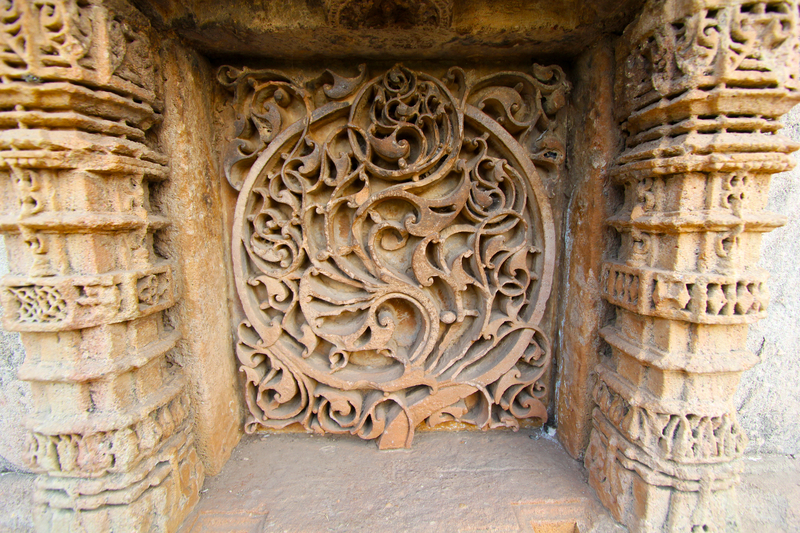 It is a 15th century construction made in Indo-Islamic style. Which is a 18 km away from Ahmedabad on the way to Gandhinagar. It has octagonal structure and the temperature inside the structure is significantly lower. One can see motifs of Solanki tradition in the design. These are a few places that are rarely on a weekend tourist’s map but I dont think the Ahmedabad experience is complete without seeing them. Each building is worth a separate blog with so much to explore and find out about. Someday later may be. I also visited CEPT campus and I felt that creative campuses need to be designed in a way that keeps you charged and fresh all the time. These spaces should encourage interactions but at the same time have some place for solitude. They should have both sun and shadow. But the most interesting and intriguing of all is Doshi Husain Gufa also known as Amdavad ni Gufa. I remember Bhimbetka caves when I saw these. I think such designs are better experienced than discussed and one should leave scope for individual interpretation.